The day continued with the latest entry from a filmmaker who I was unfamiliar with. 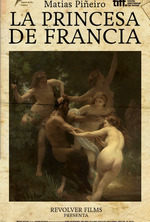 In his third Shakespeare-inspired film, director Matías Piñeiro references "Love's Labour's Lost" for this Buenos Aires-set drama "The Princess of France". Uniquely constructed, it shows a filmmaker of great conviction and confidence. The film centers around a young man named Victor, an artistic mind who plans to recreate Shakespeare's "Love's Labour's Lost" for radio. To pull off the production, he enlists a troupe of previous associates, including a few girls with whom he had romantic relations. Victor is determined to succeed but his web of relationships causes distractions. In tandem with the rehearsals for the show, life begins to imitate art. Piñeiro sets the scene with a striking opening. We see a group of young people playing street football (i.e. soccer) while a grand classical overture plays in the background. As if by planned choreography they soon funnel out into the night, dispersing into the city. Shot from overhead, it's the last wide shot we'll see in the film. As we hone in on the production of the play and the relationships between its players, Piñeiro commits to the closeup for nearly the entire duration of the film. For many a filmmaker this choice would stifle their creativity, but Piñeiro invigorates his film with his assured direction and writing. All throughout he defies the conventions that we tend to hold dear, for example the establishing shot or the "power of silence". Indeed, the film is a near-breathless ride, with endlessly mobile camerawork and fluid editing. The script is also staggering, with unrelenting fast-paced dialogue that would make Aaron Sorkin proud. You may not be able to follow along but you get a strong feel for what's going on. The early scenes are particularly sensuous, as the characters explore art and music to almost hypnotic effect. It's a shame then that the film loses steam towards the end. Victor's relationship drama isn't sufficiently involving to sustain the film and the visual dynamism slows down considerably. A stronger final act would surely have improved the film. He certainly has an able cast and some interesting ideas. 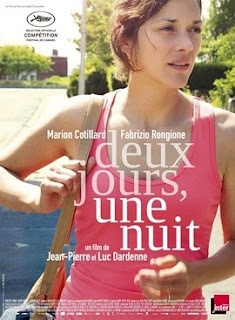 The next screening was "Two Days, One Night" by Jean-Pierre and Luc Dardenne. It stars Marion Cotillard and is another naturalistic film, exploring a community of working class people in Belgium. As expected it's fine work, but it sadly had a muted affect on me. Cotillard plays a woman named Sandra in the film, a young mother and wife who works in a solar-panel factory. We learn that she's prone to anxiety affects and has taken sick leave. One day during her time off, she learns that she may be fired. Management discovers that the other workers can cover her shifts by working extended hours and proposes that they can receive a substantial bonus if they collectively vote to dismiss her. With her back against the wall, Sandra must now convince her co-workers to reject the bonus in favour of keeping her on the team. The Dardennes were inspired by real life situations when they crafted this story. Recognizably contemporary, they tap into that sense of vulnerability many persons feel in this competitive world, where economic instability and advances in technology have made them redundant. As always, the Dardennes give it to us unadorned, simply following her as she visits each of her co-workers (16 in total) trying to persuade them. The plot is simple, accompanied by natural light and ambient sounds. It's a cinéma vérité style that puts a human face on the recession. That main face we see is that of Marion Cotillard. A world-class regal beauty, she doesn't naturally strike you as someone who would be in this tenuous situation. She's also a world-class actress though and she therefore rises to the occasion. Or maybe it's more apt to say she "descends", as her performance is strikingly down-to-earth. She's completely believable as the character, giving it tenderness and fragility. Her character's struggles are just heartbreaking to watch. Sandra's predicament is so heartbreaking that its conclusion brought tears to my eyes. As someone who graduated from college during the thick of the recent international recession and recently endured the stress of short-term working contracts, the film "hit me where I live" as they say. It had me wondering how I would cope with the situation. Yet for all its eventual poignancy and Cotillard's impressive performance, the filmmaking left me unmoved for the most part. Admittedly, this is perhaps due to the context in which I viewed the film. Among a festival lineup of films that play with form to such stimulating effect, this film's plainness was rather underwhelming. 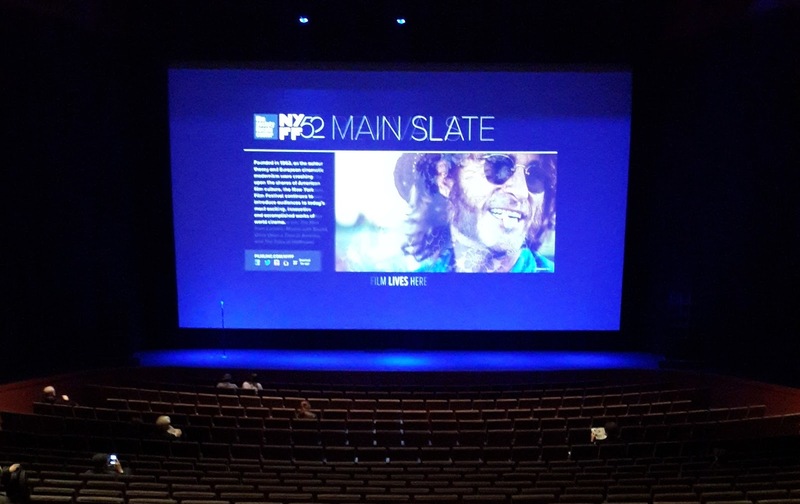 The plot is inherently repetitious, so I needed another layer (visually, aurally) to get me more enthused. Of course, I recognize that this particular criticism is highly subjective so you can take it with a grain of salt. The final screening of the day was one that completely blindsided me. From the synopsis and brief info I read, "Heaven Knows What" seemed to be an addiction drama in the vein of 2006's "Candy". 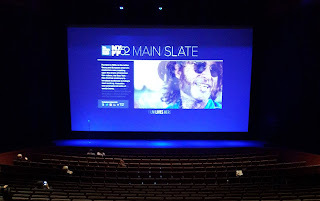 Instead, Ben and Joshua Safdie have delivered something wholly original and outstanding. "Heaven Knows What" is based on the writings of Arielle Holmes, a formerly homeless young woman who lived on the streets of New York City. In the film, Holmes plays a version of herself named Harley, a heroin addict with a dangerous love for a man named Ilya. As they roam the streets alternately fighting and embracing each other to drastic extremes, the Safdie brothers take us on wild journey into the world of society's outcasts. The film begins with a scene of young lovers passionately kissing. Everything seems normal except for the grungy environment in which they lie. Moments later however, we see Harley approaching Ilya with a threat that she will slit her wrists unless she can earn his forgiveness and renewed affection. He initially ignores her and then after much pleading, he dares her to do it. She does. A slow motion hospital scene follows with an abrasive electronica score and she emerges alive. These sort of jolting scenes characterize the work of the Safdie brothers here. As the disgusted middle-aged couple in the row behind me can attest - they promptly made an early exit - the film is a hard-hitting attack on your comfort zone. It's edgy and remarkably brave, a powerful example of DIY indie filmmaking (the Safdies had a hand in the direction, writing and editing). Anything goes for the Safdies, truly adhering to their own set of rules. "Heaven Knows What" is a love story, but the couple are barely seen together. It's also a exploration into the effects of addiction, but it's not exactly a cautionary tale. There are scenes like the attempted suicide, while others show heroin use as a thrilling, almost innocuous way of life. It's at once amateurish (there's some unnecessary shaky cam) and impressively accomplished. The dialogue is sometimes on-the-nose, but for the most part it's basically mumblecore. So just when you think you've got it all figured out, the film goes in a different direction. It all may sound a bit messy and to a certain extent, it is. Despite its lack of discernible form however, it maintains your interest with its intriguing spontaneity. In this current era of cinema, it's rare to find an unpredictable storyline and this one delivers that in spades. It also helps that Holmes brings such a commanding, fearless presence as Harley. She's completely comfortable in the role and is acutely aware of the core essence of the movie. When someone questions her devotion to the uncaring Ilya in the latter stages of the film, her response is clear. To paraphrase, "she loves Ilya and always will". She also admits that he's the cause of her drug problems. Harley and her fellow junkies may therefore seem like wayward, aimless individuals but they are nothing if not determined. Their passions may kill them (abusive relationships, life-consuming drugs) but this visceral, vibrant film shows that such people aren't the vacant creatures we sometimes treat them as. Sounds like The Princess of France is one that I may have to temper my expectations a bit.